In the oak trees overlooking Signalness Lake or camping along the hiking trail to the hike-in sites on the shores of Kettle Lake or Baby Lake or enjoying camping and riding trails with your favorite horse. Camping at Glacial Lakes State Park is a quite, prestine and beautiful experience. Glacial Lakes State Park has two tent and trailer campground loops, one horse camp loop, a group camp area and four backpacking areas in different areas of the park. Glacial Lakes State Park has placed 2 Camper Cabins in the Lower Camping loop and has recently constructed 4 year round Camper Cabins with heat and electricity near the swimming beach. 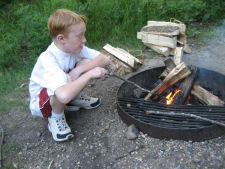 In addition, each campsite has a picnic table and a fire ring. Firewood is sold at the park office. The Lower Campground has 19 camping sites,14 of which are electrical sites. 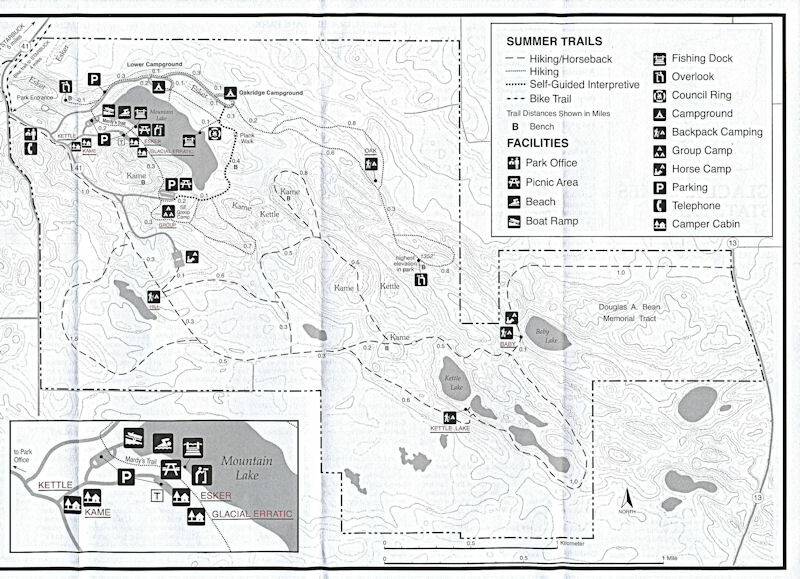 The Oakridge Campground has 18 non-electrial sites. The South East Group Camp can accommodate up to 50 people. A maximum of 3 campers are allowed in the group camp along with multiple tents. The group camp has 3 electric sites for the 3 campers allowed in the area, and the open picnic shelter has lights and outlets, and a fire pit under the shelter. Nearby amenities include water spigots, picnic tables, fire rings, and vault toilets. The 4 Backpack Camps require hikes ranging from .1 miles to 2.5 miles to reach. Oak forest surrounds 1 of the campsites while 3 are situated on the prairie near lake shore. The Horse Camp has 8 non-electrical sites.